Offerwall FAQ - Help and info on how to get your free flair! My ads / videos aren't working! I bought a boost but my production went down! Can I transfer my purchases? Help! I my progress is lost! I got the error message "The offer reward is not available at this time." What is the "Offer Wall", and how do I find it? You can now earn free flair in the game by completing 3rd party offers. To find offers, navigate to the Shop (Shopping Cart Icon) then scroll down to the "Flair" section. Select "Earn Flair" and after a few moments the offer wall should populate with offers available to you. Due to the nature of this 3rd party relationship; some offer issues may stem from the ad provider and not Office Space. To get help troubleshooting your offers, please read other sections of this FAQ or contact the ad provider directly at supersonic-customersupport@ironsrc.com. If for any reason you are having difficulties locating the Offer Wall, or it is not launching correctly, please contact Office Space Support. I've attempted to do an offer, but none of them are giving me Flair! You must navigate to the offer from within Office Space: Idle Profits. Doing so externally will not result in a credit, even if all requirements are met. All requirements for each offer must be met entirely. Premature uninstallation/cancellation will cause the offer to not credit properly. If you have attempted the same offer before, whether it be within Office Space: Idle Profits or another game/app/website, it will not credit a second time. Complete the offer when you have a strong-stable WiFi to avoid any communication issues. If you believe you have met all requirements for an offer, but it has still not awarded you any Flair, please give it at least 24 hours for the reward to show up before contacting support. If you uninstall/unsubscribe from the offer, it may fail to credit correctly, and would not be considered a valid completion by the advertiser. It's been more than 24 hours and my offers say PENDING/REJECTED!!! Offers are credited based on approval by the 3rd party provider. While an offer is in the "Pending" phase, it may or may not be approved based on whether the provider indicates all requirements have been met. For any "Pending" offers, you can tap "Missing Flair?" next to the offer name on the status screen. As an example, if an offer is a 30 day trial, it may not credit for several days, or at all if it's canceled instantly. If an offer has been marked as "Rejected", it usually indicates that requirements were not met, or that a duplicate submission was detected. After 24 hours if you feel that an offer should have credited you can contact Iron Source (SS) at: supersonic-customersupport@ironsrc.com or within the app by scrolling down the page to the "Missing Flair" link. They will expect proof of offer completion in the form of screenshots. Name of offer, and any relevant screenshots. Description of why you believe the offer needs to be reported. My offer says "completed" but I STILL did not get my Flair! The name of the offer that you had difficulties with. All/most Offers crash, freeze, or never load for me at all. Brief description of the problem, and steps you've already taken. I've contacted Iron Source (SS), but have yet to hear back or have not been awarded properly!! All tickets received are being looked into and answered in the order they are received so we ask that you be patient. If you feel you that Iron Source (SS) unustly rejected your ticket, we may still be able to help. 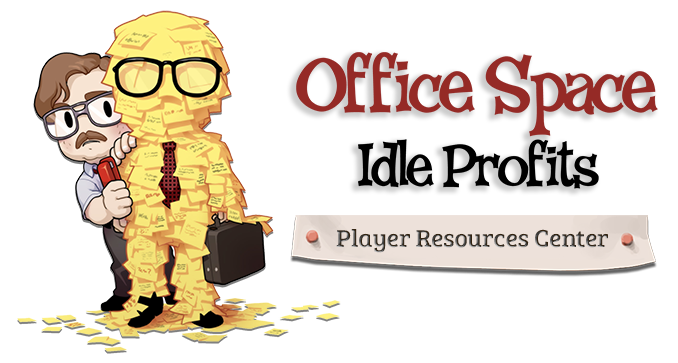 Contact Office Space support at http://officespace.zendesk.com/hc/en-us/requests/new.